All photos provided by George. 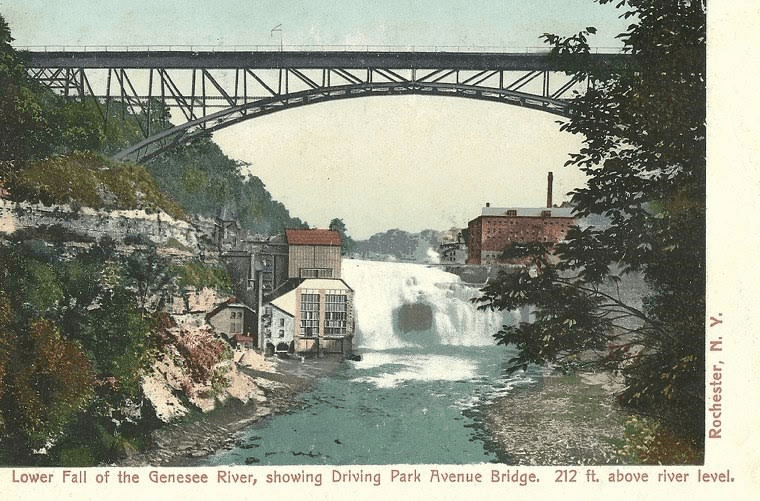 From George Payne, we’ve read about Martin Luther King, interfaith dialogue, urban poverty, a response to a PBS documentary, a cleanup at the Lower Falls and seen his photo montage of Rochester. Today, George shares a vision he and others share for the Lower Falls: to become a UNESCO World Heritage site. More than just a vision, this goal is moving towards reality through the dedicated efforts of The Lower Falls Foundation. Restoring and enriching the Lower Falls will positively impact the surrounding neighborhoods. For example, since 2005 Atlanta’s BeltLine project has added green space and promoted redevelopment in neighborhoods not unlike Rochester’s. With a World Heritage Site as the goal, every step along that path lays the cornerstone for Rochester’s green urban future. World Heritage sites belong to all the peoples of the world, irrespective of the territory on which they are located. To be included on the World Heritage List, sites must be of outstanding universal value and meet at least one out of ten selection criteria. George’s photo from Driving Park Bridge. It is our contention that the Genesee River Lower Falls Gorge meets all of these requirements. For starters, the history of the gorge is a phenomenal study in how the four glacial ages effected the geography of eastern North America over the past million years. The most recent glacier that left evidence here was about 100,000 years ago and it caused compression of the earth by as much as 2,500 feet (760 m). About 12,000 years ago, the area underwent massive changes, which included the rerouting of the Genesee and other water bodies. What can be seen today is a remarkable display of ravines, sheer cliffs, cascading waterfalls, exposed rock formations of limestone, sandstone and shale, and an indomitable river flowing northwards toward the massive belly of Lake Ontario. Whether you are canoeing or kayaking along the river’s edge, descending the treacherous “Gorge Trail” from Maplewood Park, or overlooking the monumental landscape from the Veterans Memorial Bridge, the vistas of this landscape are simply breathtaking. Shadows tells the story/mystery of the Mound Builders. In terms of cultural history, the Lower Falls Gorge has been home to rich and complex human societies for thousands of years. Among the first native settlers in the area include the Algonquin and Seneca. The Algonquin were here first but no one knows for sure when they arrived or where exactly they came from. Likewise, no cultural anthropologist to date has been able to completely decipher the folklore which talks about an ancient tribe of “mound builders” who occupied this space before the Native Americans first encamped here. What we do know is that powerful Seneca assimilated their predecessors and became dominant throughout Western New York. Seneca image from the National Geographic. 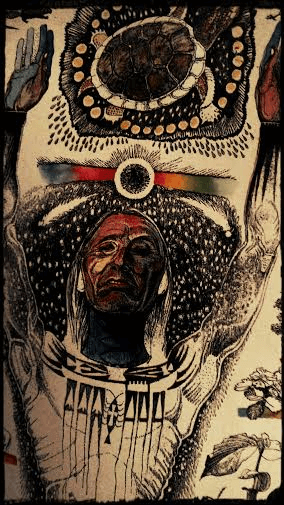 They were called the “Keepers of the Western Door” and they were the largest of the six Native American nations that comprised the Iroquois Confederacy or Six Nations. Their democratic government pre-dated the United States Constitution and influenced thinkers such as Jefferson, Franklin, Adams, Madison, and others. If you watched the State of the Union this year, it is worth noting that this practice came from the Seneca, as did our system of checks and balances and the “big clan and little clan” style of political decision making. In the Seneca language the people are known as O-non-dowa-gah, (pronounced: Oh-n’own-dough-wahgah) or “Great Hill People.” Once the French arrived with their surveying expeditions from Quebec and Montreal, the traditional way of life for the Seneca was all but over. After they sided with the British during the Revolutionary War, they were destined to be driven out for good by General John Sullivan’s military campaign under the orders of President Washington. But not only is the Lower Falls Gorge a significant Native American settlement, it is also a terminal point on the Underground Railroad i.e, that clandestine system of networking houses, sheds, garages, caves, and other dwelling places and stop off points for escaping humans during the era of slavery. 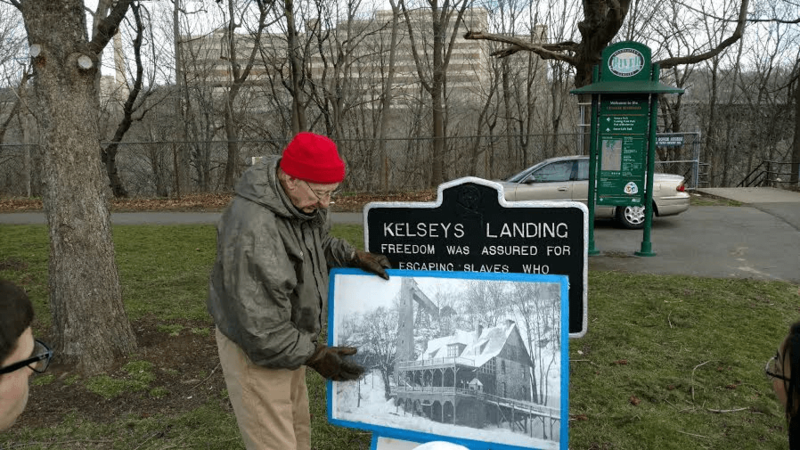 The UR site in the Lower Falls is known as Kelsey’s Landing and has a multifaceted history. Tour guide and former city councilperson Bob Stevenson. As George says, Bob is probably the most knowledgeable person in the world when it comes to the Gorge. He helps the Lower Falls Foundation as an adviser. Alexander Kelsey and associates constructed a landing on the west side of the river across from the settlement of Carthage (east side of the River) around 1844. This location is the furthest south ships could travel towards Rochester from the Great Lakes before reaching the impassable Lower Falls. The rise of Kelsey’s Landing as an official shipping port of Rochester led to the bankruptcy of the landing at Carthage (across the river) and eventually the demise of its surrounding settlement. With that story in mind, perhaps it is no accident that Frederick Law Olmsted was the architect of Maplewood Park. Olmsted was not just the world’s most innovative and prolific landscape architect of his time, he was also a fierce and dedicated opponent of slavery. One of his first professional jobs was “foreign” correspondent for the New York Times. Reporting firsthand from within the southern states, Olmsted’s passionate articles described the conditions of slavery for millions of readers in the north. 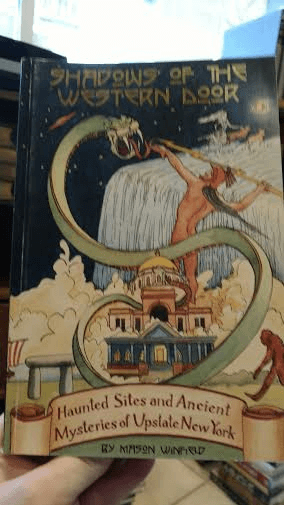 It is not hyperbole to say that Olmsted’s journalism galvanized millions of people to turn against the evils of this most peculiar institution. In this respect he ranks with the likes of Garrison, Whitman and Stowe in terms of his importance to the abolitionist movement. 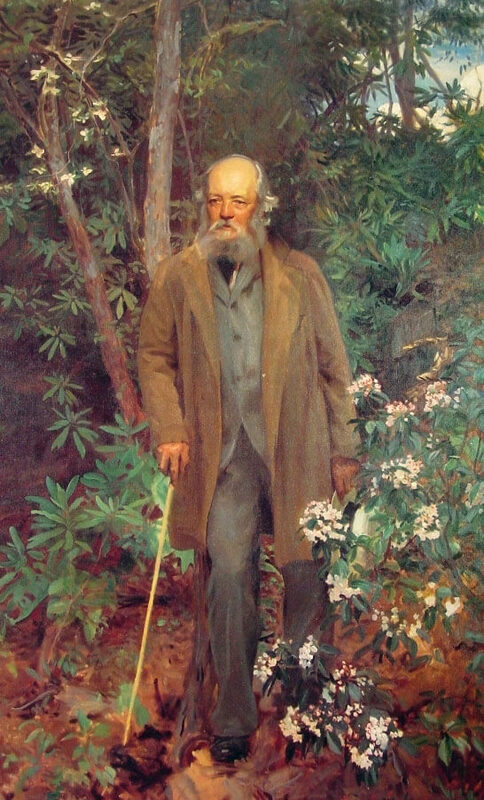 Moreover, in addition to designing such iconic parks such as Yosemite and the grounds of the U.S. Capital, Olmsted was also a co-founder of the Nation magazine and a tireless defender of democratic landscapes. 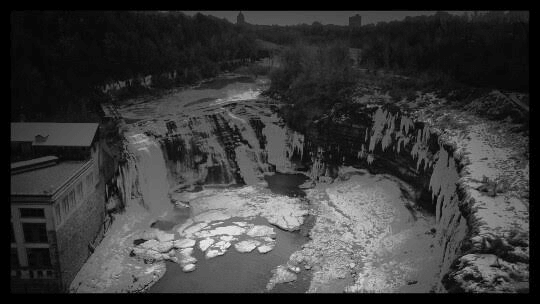 The mark of his genius on all four Rochester parks offers yet one more convincing reason why the Lower Falls Gorge is no ordinary space but a globally significant cultural heritage site. All of these images were captured by renowned photographer David Liittschwager when he made Rochester the latest stop for his One Cubic Foot project. Liittschwager documented 150 species during his time here, all of them either netted or observed inside or on top of a one-cubic-foot metal frame that he set near the bank of the Genesee across from Turning Point Park. What Liittschwager discovered in his experiment is something that inhabitants of the Lower Falls area have known for centuries. This ecosystem is an extraordinary display of biodiversity! From the Red Spotted Salamander to the Steelhead Trout, the river basin and gorge complex is home to some of the worlds’ most precious biological specimens. When all of this history and culture and ecology is added together, it becomes self evident that something must be done to better protect and cherish this unique space. I want to ask a question. What would happen if this landscape was seen as a new World Heritage site? How would this impact the economy of Rochester as a whole? Just dream for a moment about what could happen if we decided to make this project a centerpiece of our future. As a social purpose enterprise founded on January 1, we have just begun to explore the possibilities of this dream. But we know that people believe in our dream because they are signing up for our cultural heritage cleanups. The belief is also seen in the number of politicians and business people who have quietly or officially endorsed our work. And it shows in the number of teachers and school principles who have expressed interest in the Lower Falls as a destination point for field learning. 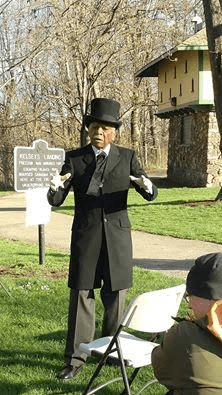 As we move forward in the next several months, the Lower Falls Foundation will continue to sponsor and organize cleanups, promote cultural events like our special “Evening with Frederick Douglass at Kelsey’s Landing,” develop an expeditionary curriculum with Roberto Clemente School #8, and offer free public tours of the Gorge on an ongoing basis. The change is happening right now! If you are interested in getting involved in this once in a lifetime mission, please contact George Payne at 585-703-9230. This is a movement to transform our community through the power of social history and the beauty of our most vital natural resource. 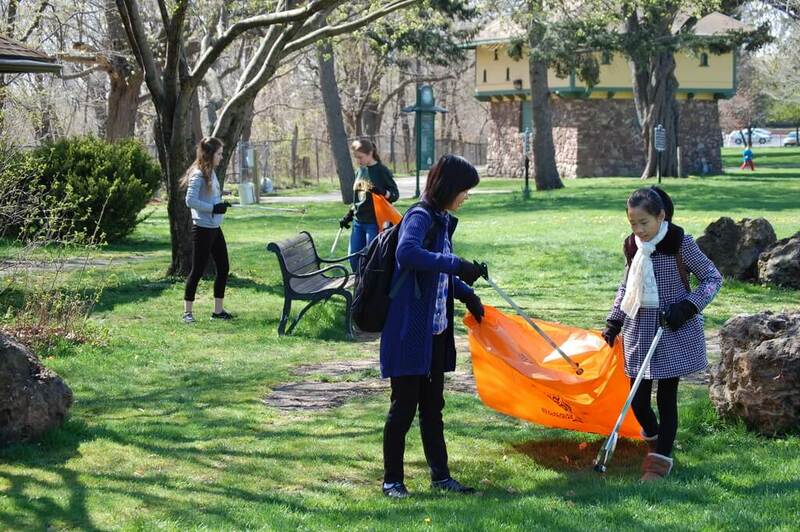 NOTE: Earlier this month, George was extensively interviewed by the Stylus, the student newspaper at the College at Brockport, for Brockport students clean up historical park, the story on an Earth Day cleanup at the Lower Falls. 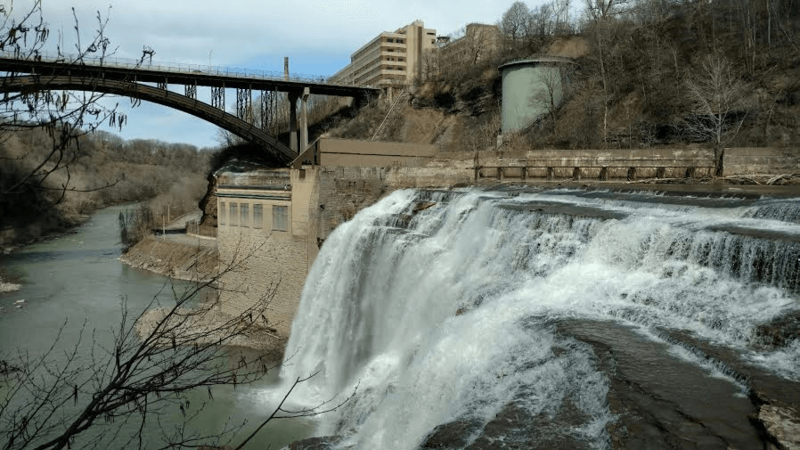 The Lower Falls needs our help! Trash everywhere! Volunteer cleanup this Saturday!